Ive been making wine in Bordeaux for 10 years this year so I probably should have some sort of celebration. I believe Im the only Cornishman making wine here so this is a a note back home to all the other winemakers and wine enthusiasts who follow me. 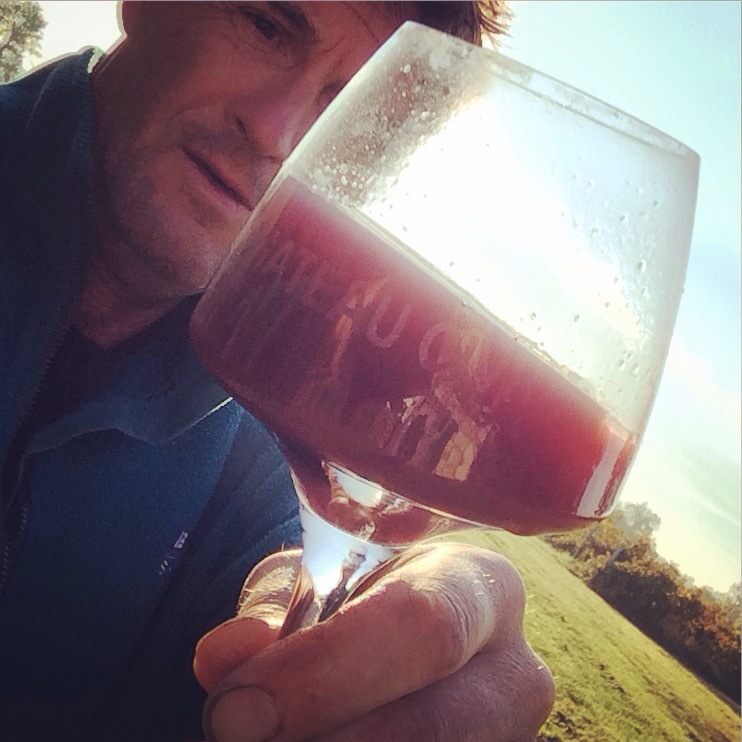 Another eventful year of winemaking is drawing to a close and once again we have been challenged and tested by nature and are now starting to analyse the fruits of that labour and the quality of the wine that has been produced. Overall the wines are very good. Quantities are 15% lower than last year but the quality is better. Merlot presented excellent raspberry aromas after harvest (allways a good sign). Alchohol level of 14% which shows the super maturity of the fruit at harvest time. A feature of the Merlot at Civrac is also the natural smokey note which is becoming part of its individuality. Malbec is showing superb density of colour as expected, a very attractive spicey nose and 13.5% alchohol. Cabernet benefited enormously from the extra warm days of September and early October. Warm dry days and cool evenings allowed the fruit to mature to 12% alchohol and exhibits juicy blackcurrent flavours. The winemaking is actually my favourite time. It’s a one person job: Well actually it should be two. You see fermentation creates lots of CO2 and that with having to climb up and down the vats makes the winery quite a dangerous place to be. Actually people die every year due to being overcome by CO2. 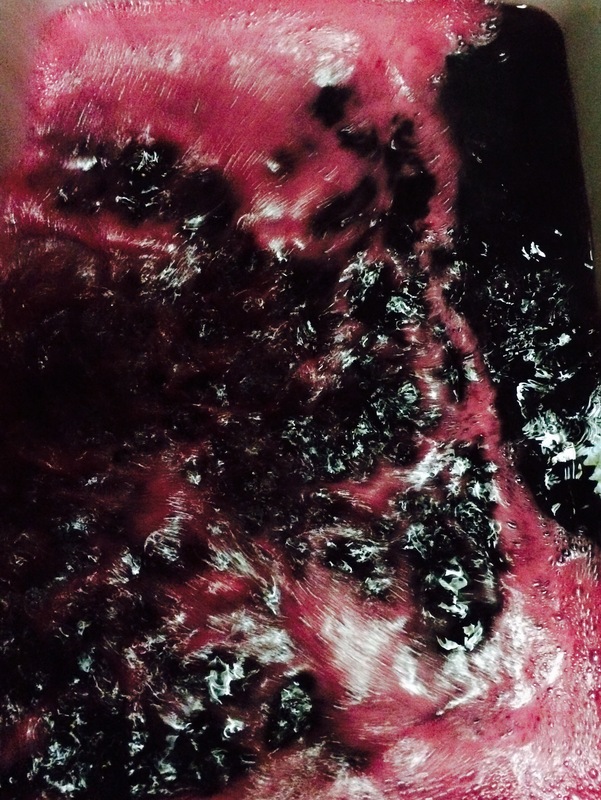 All through fermentation we are forming an impression of the vintage; its characteristics, strengths and weaknesses. So much so that when it comes to blending we already have a good idea of what will be the best combination. Ive just finished the final pressing of the red wines (normally about 10 days after alchoholic fermentation has finished). This is a symbolic end to the whole year and certainly a pretty messy affair but after it is finished we know that that particular years harvest is complete. Now comes the long period of maturation and homogonisation that transforms the wine from a group of individual components into a wine with its own personality. This entry was posted in Uncategorized by markhellyarwine. Bookmark the permalink.